It is not uncommon for individuals to shy away from filing their own tax return, whether it is due to time constraints, fear, or a lack of knowledge. However, selecting the best preparer may be a bit challenging if you are unsure of which type best suits your unique situation. If your tax situation is fairly straightforward, storefront tax preparation may suffice. Individuals who are single with no dependents and possess minimal assets, if any, are the perfect candidates for storefront tax return preparation. 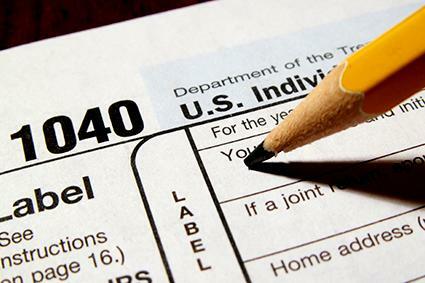 However, if you have dependents and are entitled to deductions and credits frequently taken by taxpayers, such as the charitable contributions and medical expenses, it still may not be necessary to hire a Certified Public Accountant if the storefront preparer is knowledgable and experienced with tax situations similar to yours. According to Forbes, a CPA will cost you approximately $200 per hour. Therefore, if you desire to soften the blow to your wallet, you should only enlist their services for complex tax situations. If you have scrutinized the tax code searching for the answer to a specific tax questions to no avail, it is in your best interest to hire a seasoned professional. Otherwise, cutting corners for the sake of cost-savings may come back to haunt you in the form of penalties resulting from audit findings. As a small business owner, there is a ton of information to consider when preparing your tax return. Often, small oversights or mistakes, such as understated income, could end up costing you big if you are audited by the IRS. Having a CPA on your team also helps with tax planning throughout the year, so you will not be hit with a hefty tax bill when it is time to file your annual return. Those who may not have climbed to the top of the income brackets via business ownership, but through a corporate payroll system, may be subject to the Alternative Minimum Tax (AMT). Since maneuvering the AMT is not always an easy feat, you may want to hire a CPA to assist with tax planning year round. An inexperienced storefront preparer could potentially overlook ways to decrease this amount. Since you are legally responsible for the information on your return submitted to the IRS, you should carefully evaluate tax preparers prior to making a selection. Below are some factors to consider. Will you be assessed a flat rate based on the service you select or a percentage of the refund amount? If it is the latter, you should seek other alternatives, as he or she may be tempted to misstate income, deductions, or credits in an effort to garner a large commission. If he or she is not a CPA, does the preparer have any designations, certifications or specialized training? Are they a licensed tax attorney or Enrolled Agent? Do they have a stellar standing with the Better Business Bureau and the state board of licensure (if applicable)? Do they offer electronic filing? According to the IRS, "Any paid preparer who prepares and files more than 10 returns for clients must file the returns electronically, unless the client opts to file a paper return." So, if they mandate paper submission, they may be inexperienced or unknowledgeable regarding the proper transmission protocols. Keep the following in mind when seeking a tax preparer. He or she fails to request documentation to substantiate your claims. Your tax preparer should thoroughly analyze documentation provided to them before getting started to ensure they are experienced enough to handle your return. Also, confirm they are able to provide a thorough explanation of any deductions, credits or components of your return you do not understand. The preparer disappears after tax season. Does the preparer close for business after the tax deadline? Should you be summoned for an audit later on down the line, a tax preparer who has vanished will be of not any assistance to you. He or she lacks a Preparer Tax Identification Number (PTIN). The IRS mandates that tax preparers paid for their services possess a PTIN. While you may begin to develop reservations regarding tax preparation services upon discovering the fee assessment, confiding in a professional can give you a peace of mind. If you select a reputable preparer, you will always have someone in your corner if you ever need clarity outside of tax season or if the auditors come your way.